The technology was the factor that revolutionized the industrial era and technology is the factor that has contributed to this modern world today as well. Even though the present hasn’t brought flying cars yet, as the futurists of the 1960s had predicted, we are surrounded by lots of budding technologies everywhere we go. Today, we have everything from smartphones and live streams to social networks and smart devices designed to make our lives easier. The future seems to become even more technology-studded than what we are experiencing right now, and life will become easier with the help of robotic inventions coming up. Technologies capable to change our lives are just around the corner and, in 2018 there are plenty of examples that represent steps further into a brighter future. The 4th Industrial Revolution is approaching and we must be prepared to embrace it. So, what are the technologies we can benefit in our life and work right now? Let’s check out. Voice assistants are part of our present right now and they have got a lot better in 2018. Usually incorporated in mobile devices, these technologies are meant to make our smartphone usage easier and more fun. Companies like Amazon and Apple are already developing voice assistants designed for our homes. Early adopters are already eager to try these new things, but specialists say that the majority of Americans are expected to try and buy a voice assistant for their homes in a few years. Products like Apple Homepod or Amazon Echo are available for technology passionate people who want to improve their way of living. 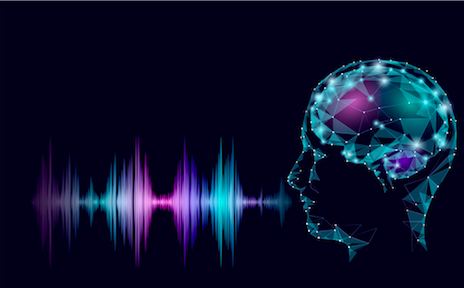 In the future, tech specialists believe that voice assistant will grow and become even more helpful, thanks to artificial intelligence. Producers of Amazon Echo are already regularly updating the product to deliver a better experience to the consumers. In conclusion, voice assistants will definitely be part of our future and will change the way we communicate with our smart devices. If right now the trend is to communicate through text and tactile motions, the future is all about voice technology. Crispr is the abbreviation for “Clustered Regularly Interspaced Short Palindromic Repeats” and it’s a technology that can help find mutated sections of DNA and remove them. Plus, once the bad material is eliminated, this technology will replace it with non-mutated sections. This means that Crispr is capable to cure diseases such as Huntington’s disease or cystic fibrosis. Crispr can permanently eliminate genetic diseases from bloodlines and that’s very good news for the humankind. The technology is now being tested and has already been used to eliminate some types of cancer in some patients. The odds are very good but only time can tell if this technology will really work in the long run. Robot assistants are different than voice assistants. Robots are already used in large factories to help make processes more efficient and decrease labor from workers. For example, Boston Dynamics is already developing a wide variety of robot technology to be used in factories or even on the battlefield. Robot assistants will be a routine thing in the future and they can even replace workforce in some domains. Robots can help us in many areas of life and improve our well-being, but it is important to integrate them properly and keep the balance of our world as well. Augmented reality is a technology that will really take off in the future, with major companies investing millions of dollars in AR hardware. Even though in its early years, it hasn’t been widely accepted and many said it didn’t have the chance to go mainstream, it seems that it is only the beginning for augmented reality and we will soon integrate it quite naturally into our lives. Regenerative medicine will definitely help the world we live in and increase the chance for people to enjoy life for a longer period. If you didn’t know about it yet, find out that doctors around the world are producing body parts already to be used in giving hope to people who might have lost their ability to walk, use hands, etc. Doctors are currently scarping cells off the desired body parts and growing them. Over time, the grown part of the body becomes ready to be implanted to the patients. For example, Organovo Company has developed a 3D printer that prints body parts. In time, this will be a life-saving technology that will be able to help people live a better life. An autonomous vehicle is the dream of everyone, as long as it’s safe and 100% trustworthy. Right now, we do not have that kind of technology, but many cars producers, such as General Motors, Tesla and Volvo have already produced semi-autonomous vehicles. But the technology we are all dreaming of is not that far away. General Motors have already announced that they are preparing a launch for a car without any pedals or steering wheel in 2019. Other companies, like Uber, are looking into using pilotless flying vehicles such as drones. Uber has teamed up with NASA to find an “air-traffic-control system” that will help them implement their idea and encourage this type of technology to be adopted at a larger scale. We are inventing plenty of technologies here on Earth, but we are thinking of the Space as well. Specialists are looking for ways to develop reusable rockets to decrease the costs of building rockets in the first place and waste less on Earth. Elon Musk is one of the pioneers in this industry and has already successfully found a way to land rockets back on Earth (ex. : Falcon Heavy). If this technology will be further implemented, it will definitely reduce the cost to travel in space and maybe even open the gate for people to travel there freely. So, these are only some of the various technologies that are changing the world as we know it. The future is going to be an improved version of today and we will feel it more and more into our everyday lives. Pioneers and specialists everywhere are innovating today to make tomorrow better. Let’s embrace technology!